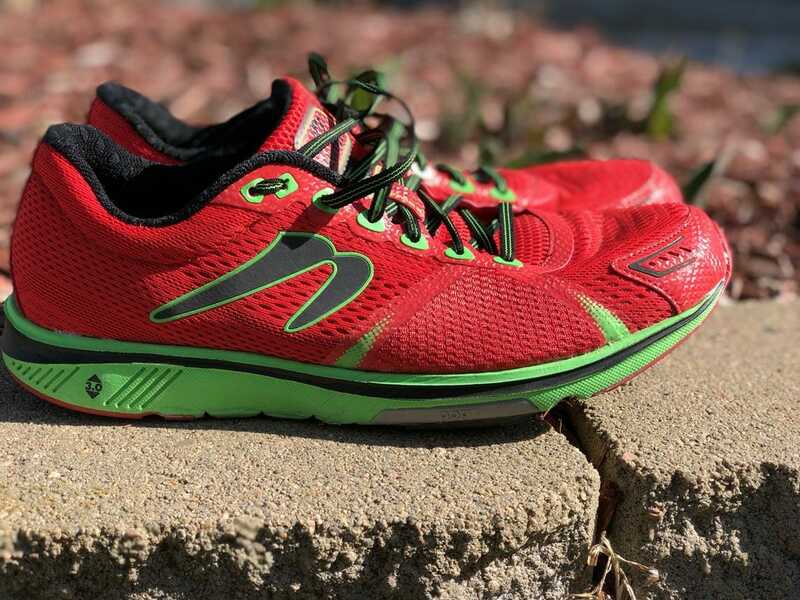 The Newton Gravity 7 is a lightweight trainer that is fast and responsive. At a high price point, it may price itself out of many consumers' markets. This shoe is for experienced runners who are looking for a lower drop and technology that will help propel them to higher speeds. Newer and heavy-set runner may want to steer clear. 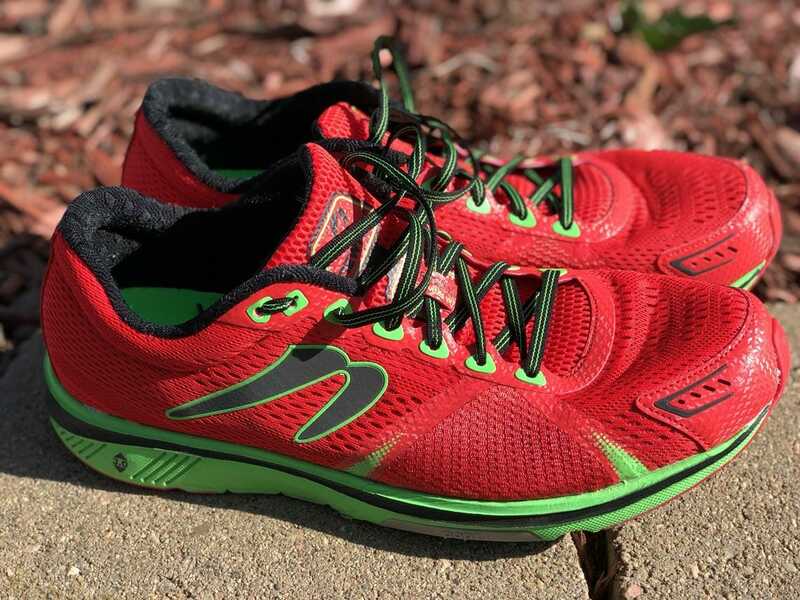 The Newton running company has a very specific business model — lightweight, low-drop and the springy lugs on the forefoot. These specific ideas make for a shoe that is completely unlike others on the market. 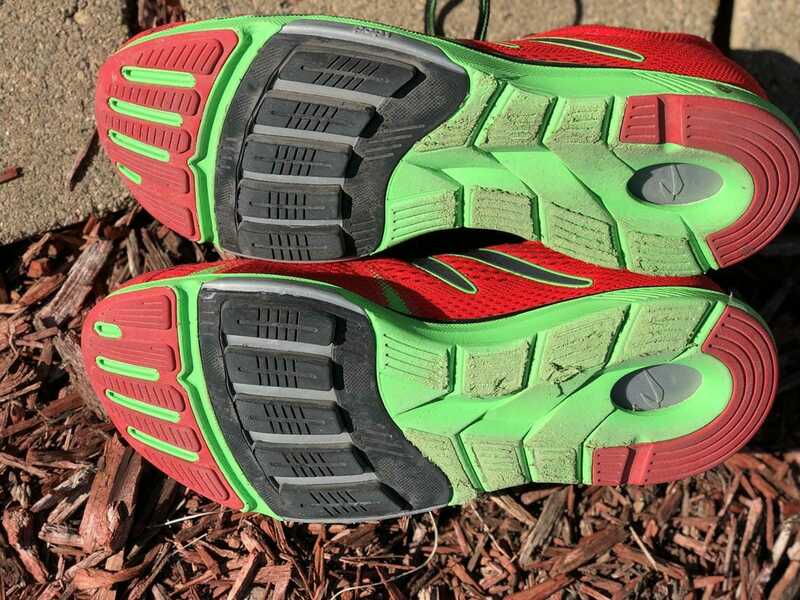 When you see someone in a pair of Newtons, you can easily identify them. This is something that is great for a company, an identity. The biggest issue is whether or not this identity can resonate with the average runner. 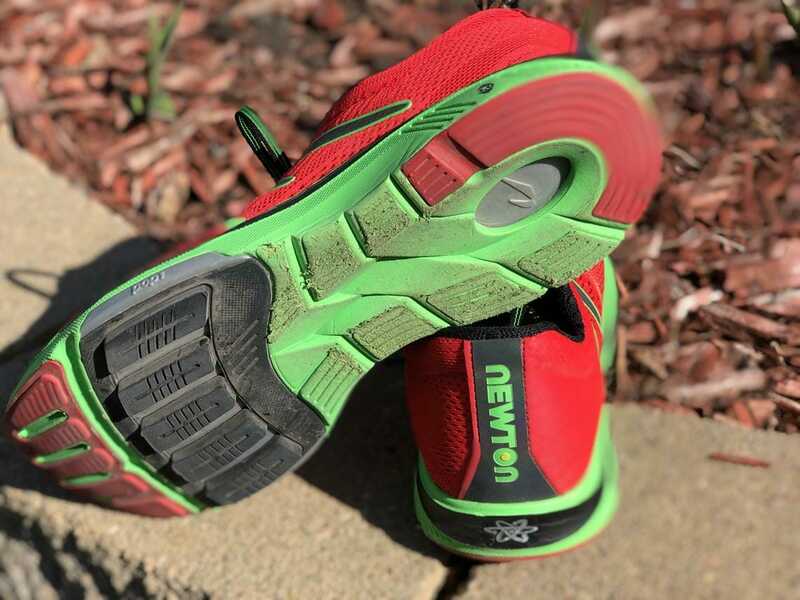 The Gravity 7 is the top of the line trainer for Newton’s neutral line. This shoe will compete against the highest levels of the other companies’ shoes. They will compete against the likes of the Brooks Levitate and Glycerine, Nike Vomero and Epic React, and Adidas Ultra Boost. However, these other shoes are much more traditional than are the Newtons. Which means, although they are in the same price point, they are in a completely different category. When the shoes came, the unboxing was exciting for me. The shoes are gorgeous. A deep red with a bright green. The looks are very aggressive and distinctive. They were pretty comfortable out of the box, however, due to the lug technology, they were not the most comfortable all-day shoe right out of the box. The first run was great, with an extra pep in the step. 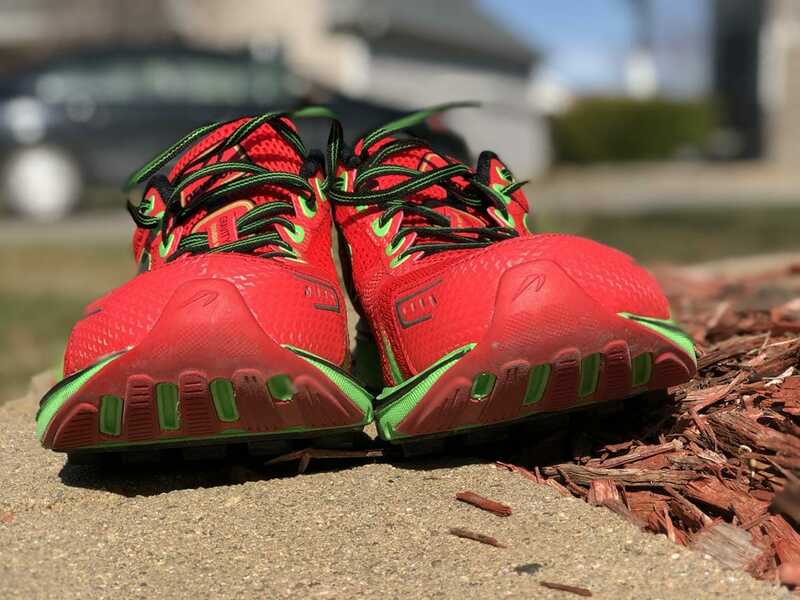 The Gravity 7 has plenty of cushion for every run on which I went. However, I also felt my feet a little beat up after some of the longer runs. One aspect that takes some getting used to is the heel-toe-drop which is 3mm in this pair. The stack height is 26mm in the heel and 23mm in the toe. But the cushion and the drop aren’t the single thing that takes the most getting used to, that would be the lugs. But I’ll get into those soon. 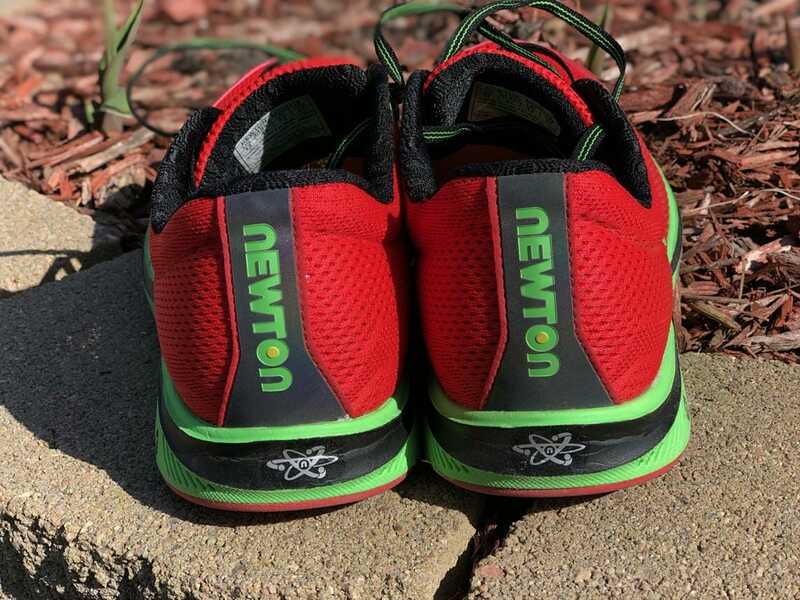 Newton uses their brand’s Newtonium foam as a layer of cushion under the foot. This foam is incredibly light and responsive. It is flexible and springy while not adding too much stack height. The midsole uses a high-rebound EVA material to keep it responsive while upping the durability. This is something I have witnessed, as I have put 100+ miles on the shoes and have not felt a change in cushion at all. This takes us to the highlight of the soles, the lugs. Using P.O.P. 1 Platform, the lugs recede into air-filled chambers as you land and then spring back out as you move towards toe-off. This technology helps propel you forward and helps you speed up. On these lugs, forefoot and around the heel, the shoe features a high density rubber for durability coupled with a high-abrasion compound designed to provide lasting durability. However, I have noticed that the foam sections of the outsole have been rubbing off, but these sections are minor compared to the rubber sections. All of these technologies make for a great ride for any run that involves upping the pace. They do this partially by forcing you to land on your mid or forefoot and use your calves more to propel you faster. 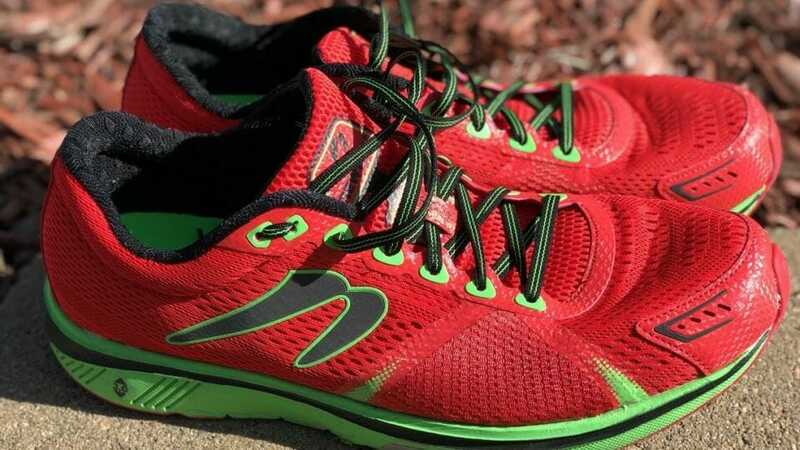 With a few cosmetic updates, the Gravity 7 is largely the same upper as previous models. Using seamless technology with an engineered mesh provides lightweight breathability and some slight structure around the midfoot. They have also included a stretchier mesh over the toebox to allow for flex and an individualized fit for each foot. The heel uses a molded and structured heel cup. This allows for more stability and helps lock the heel in. This technology is coupled with a lacing system that is easily adjustable and helps to lock in the foot through the midfoot. The interior of the upper includes an anti-bacterial ETC Sockliner which Newton claims will promote a healthy foot environment. I don’t know if this is true, but I can tell you this much, the shoes have not picked up any of the normal odors that 100+ miles will usually pick up. I found this upper to be very comfortable, and fit true to size. With a tight feel on the heel and midfoot that widens into a roomier toebox. It will not be confused with Altra’s toebox or that of some of the other roomier varieties, but it will also not be described as tight by any means. Overall, this shoe is a great addition to the arsenal. It is lightweight, responsive and fast. When I have been doing my 200m/400m repeats or threshold runs, they are ready to kick it up to a higher notch. However, they hold up quite well while toning down and just adding the miles as well. 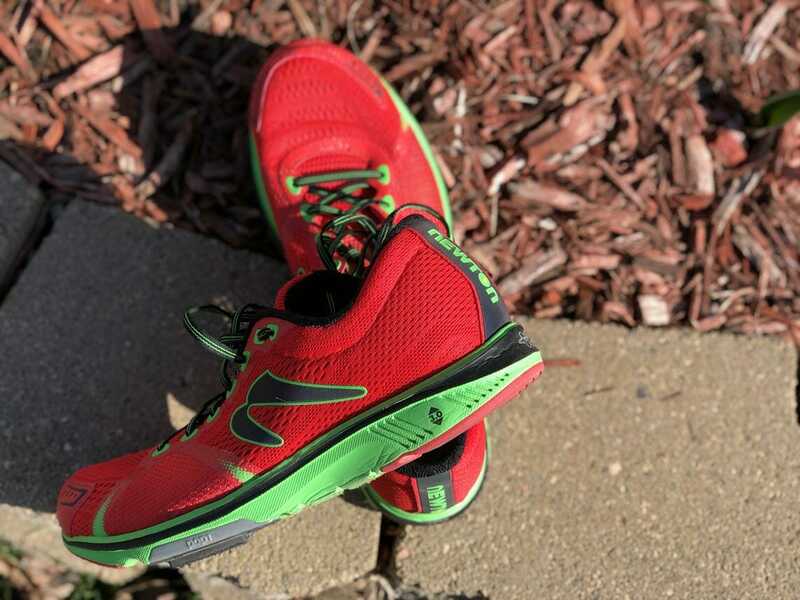 The biggest issue you’ll find with running in these shoes is something you’ll find with every Newton offering. The technology takes 2-3 weeks of running and logging miles to get used to. For those first couple of weeks, my calves were screaming at me — especially the lower calf connecting to the ankle. The extra stress takes some getting used to. Once you have gotten used to it, the feel of the run is great. However, real issue with the Gravity 7 is the price point. Unless you are a Newton devotee, I would have a hard time suggesting that you drop $175 on a pair of shoes that will take 2-3 weeks to get used to running in. If you have done Newton’s before, then these would be a great shoe to step into and continue using to further your running. If you’re interested in trying out Newtons, head to a marathon expo and see the clearance section first or find a lower price point version first (Sir Isaac) and give them a go. I do believe that most people would enjoy having a pair in the rotation, I know I’ve enjoyed adding these to my rotation. 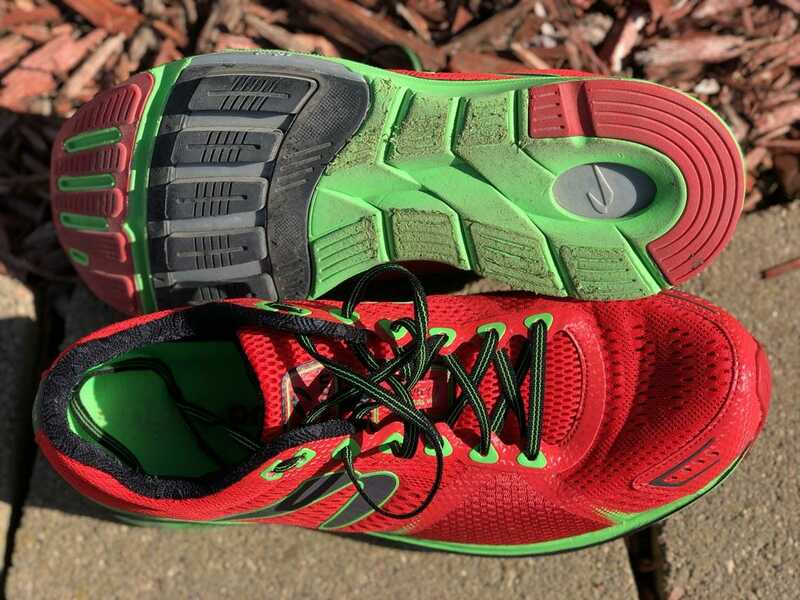 We purchased a pair of Newton Gravity 7 from runningwarehouse using our own money. This did not influence the outcome of this review, written after running more than 50 miles in them. So from what I’m reading the Gravity is actually well cushioned. Is this correct? I ran in an old pair of Kismets and hated how dull and firm the ride felt because of the EVA. Is this a cushioned model, like the Saucony Kinvara or Altra Escalante? When I tried the Gravity at my local running store, I found them firm. Do they break in to be soft? Oh yeah, this is a very well cushioned shoe. It takes a little bit to get used to the type of cushion and to adapt to the landing pods (which become part of the cushion). Now, the cushion is not going to be as plush as the Escalante or the Kinvara. However, these will last much much longer than the Kinvaras, and provide a little more structure in the upper (better support for the foot) than the Escalante. Hope that helps. Sorry it took so long to respond. Thanks for the review. Just bought a pair, coming from 12mm drop Brooks, got a lot of pain in the calves also. Hoping it will stop in time, as many users have. How did the transition go? Are you feeling better with them?